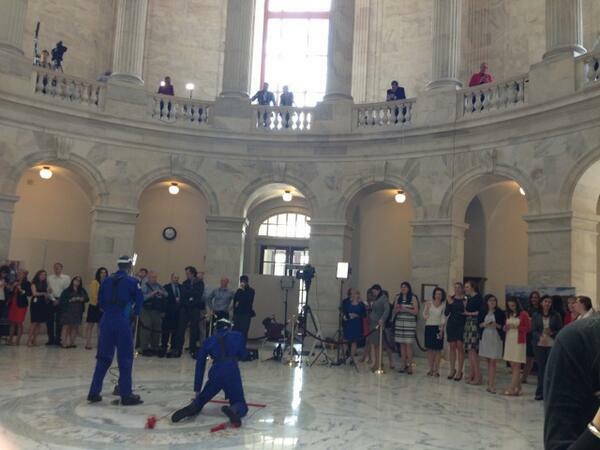 Congressional staffers pack the halls for a glimpse of the red-headed royal. 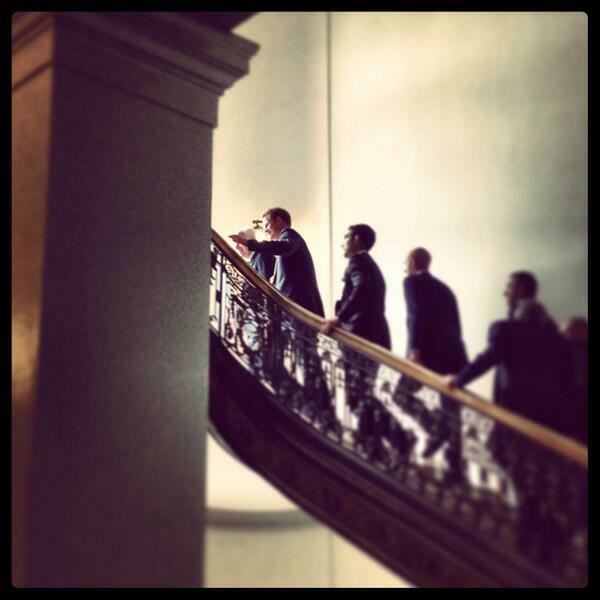 Staffers on Capitol Hill abandoned their desks this afternoon to catch a glimpse of Prince Harry, who is visiting the United States this week. 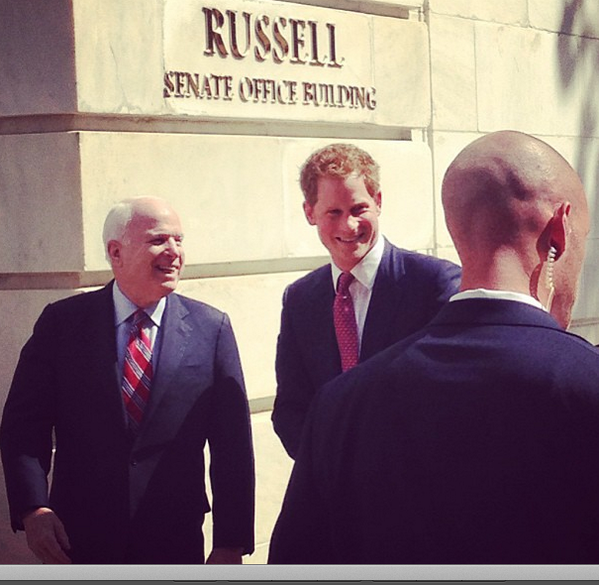 If all the women on Capitol Hill were dust bunnies, #princeharry would be a Dyson Vacuum. Every woman is gone. Every. Single. One. There were more Prince Harry fans here earlier -- mostly young women who work at the Capitol -- but they were politely to clear out. 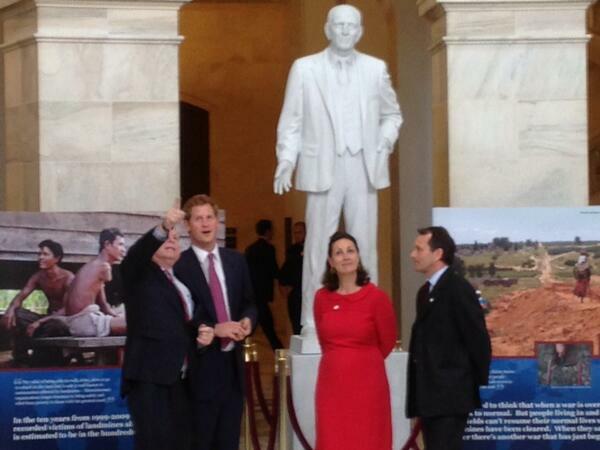 The image of female Hill staffers being ushered away from Prince Harry and forced do things like, say, staff the principal, is delightful. But OF COURSE they returned. 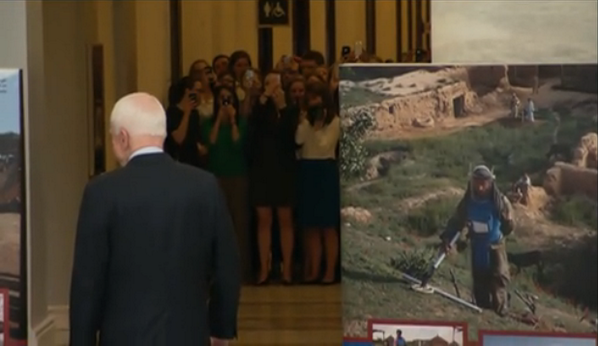 Some staffers even went outside the building. 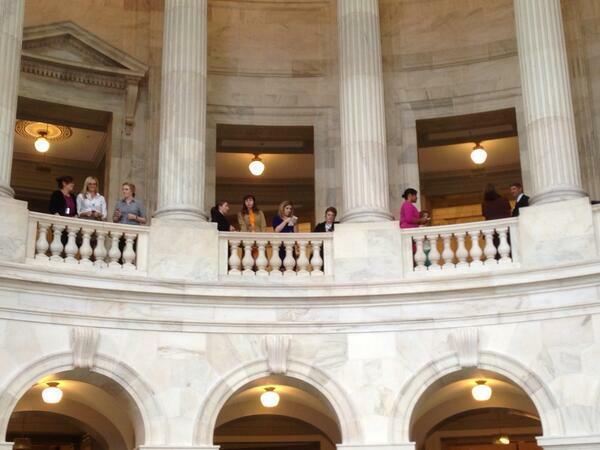 High above the Russell Senate office building awaiting Prince Harry&#39;s arrival and the throng of screeching girls. 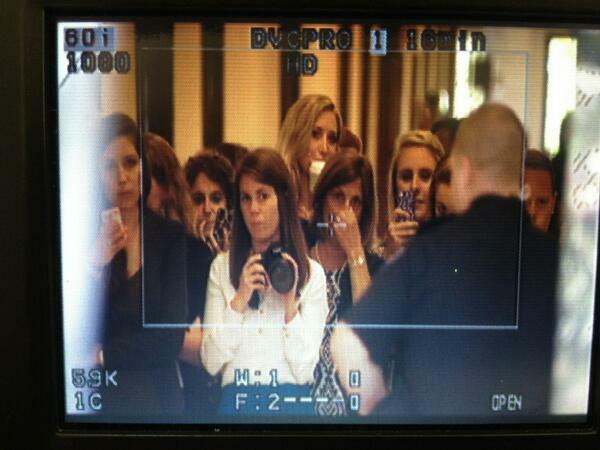 High above the Russell Senate office building awaiting Prince Harry's arrival and the throng of screeching girls. Capitol Police pushed people back, but they would not be stopped. 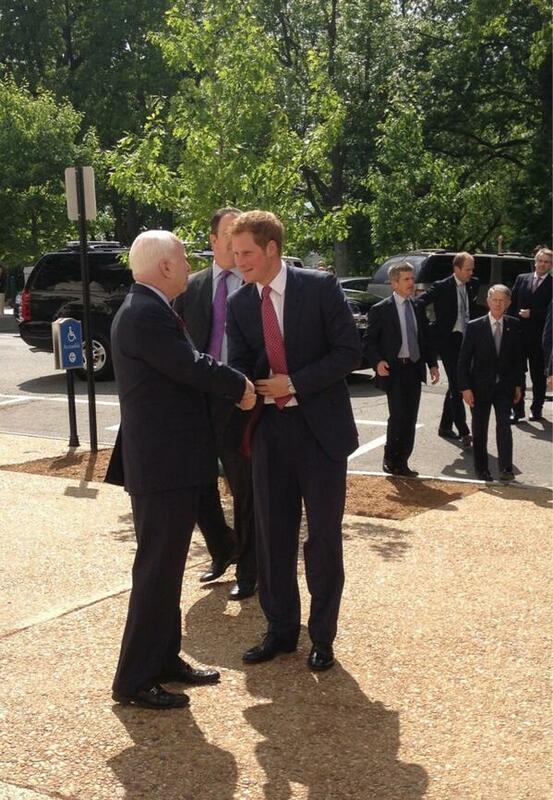 Update - 3:45 p.m.: Sen. John McCain exits the building to greet Prince Harry. 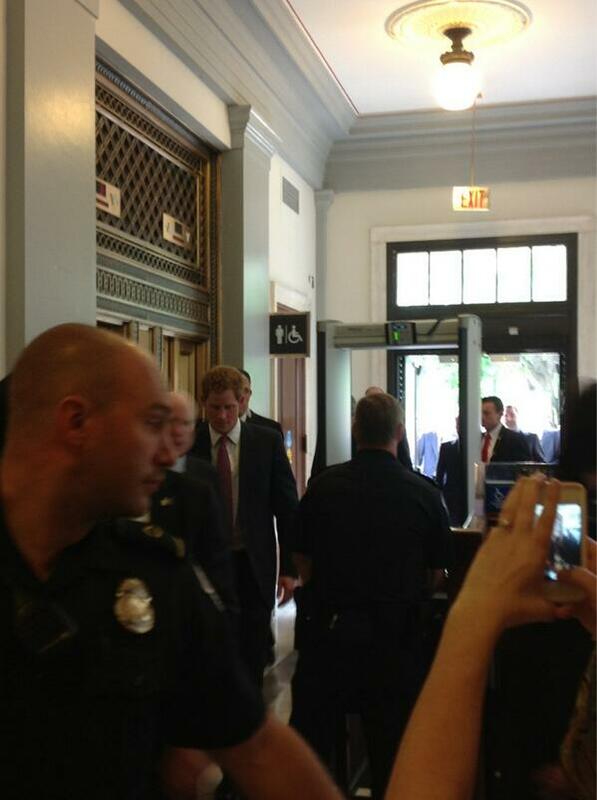 UPDATE - 3:50 P.M.: Prince Harry arrives and all hell breaks lose. 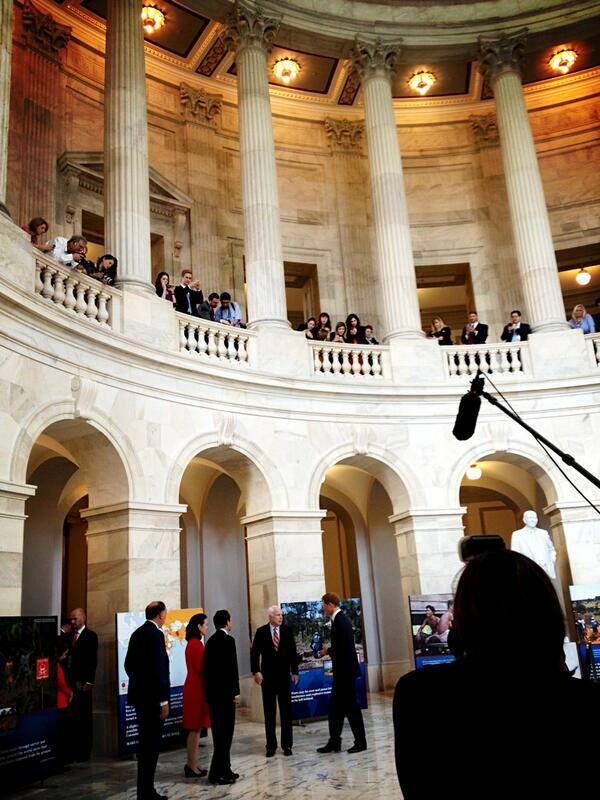 Adoring roar echoes down to Russell Rotunda -- Prince Harry is here. 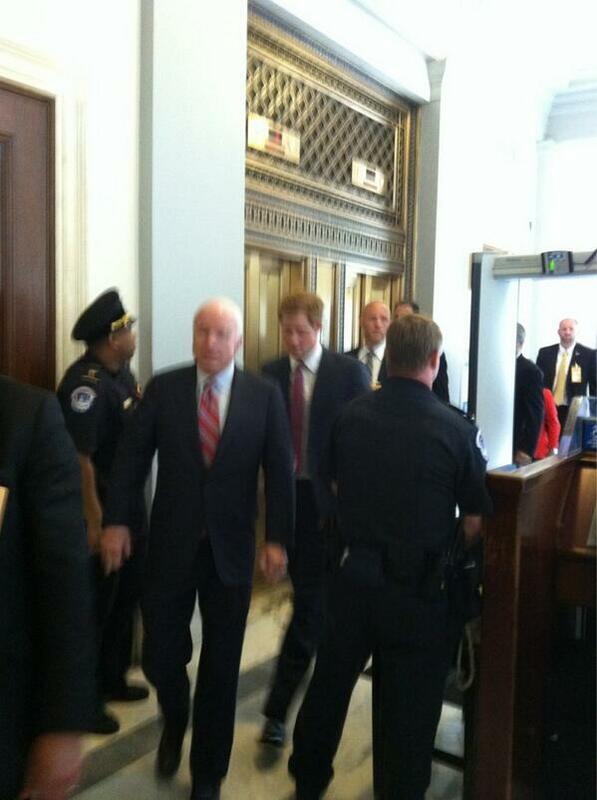 Capitol staffers cheered as Prince Harry walked through the Russell Senate building. 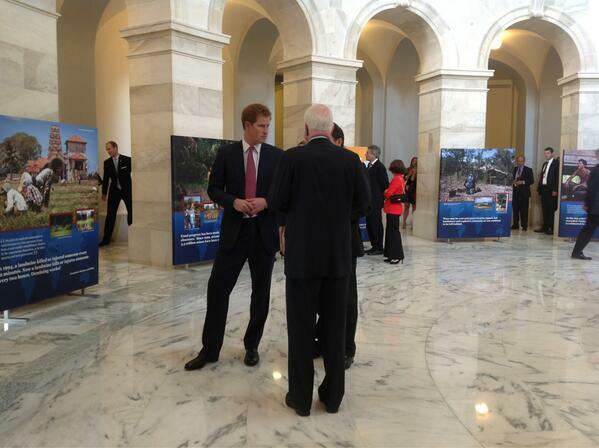 Update - 4:00 p.m.: Prince Harry is touring a land mine detection exhibit on Capitol Hill with Sen. McCain. 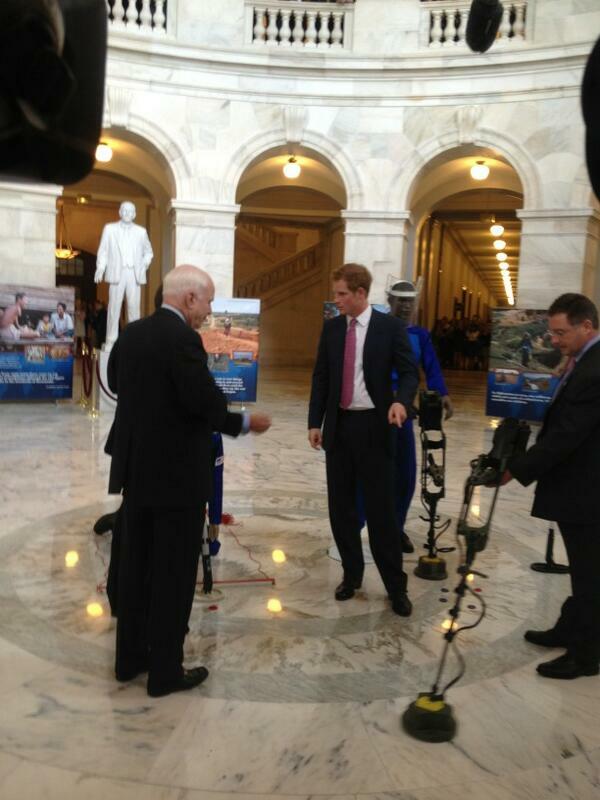 Prince Harry and S John McCain being shown equipment used to detect land mines. 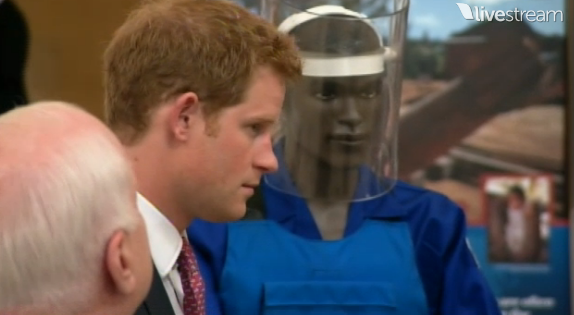 But HRH Prince Harry maintained his royal composure. And so, Prince Harry left. Hallways cleared. Female staffers returned to their lives, unfulfilled dreams of being a princess.